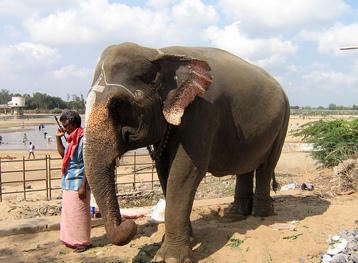 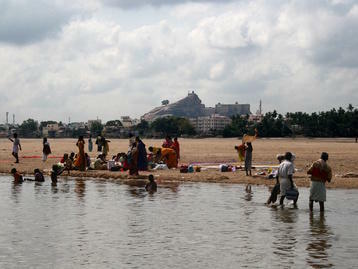 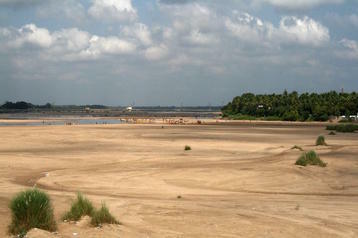 Tiruchirapalli (accent on the antipenultimate syllable, "rap"), more simply known as Trichy, is a big city. 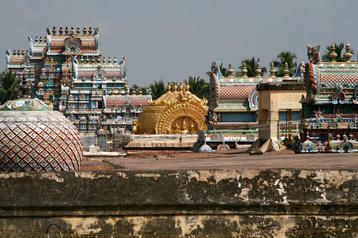 Athough not as big as Madurai, it seems ... more city, with wide avenues, viaducts and lots of traffic. 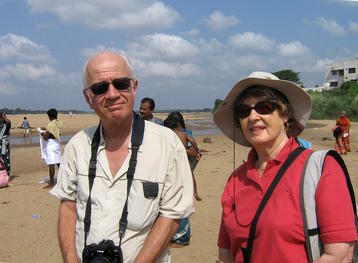 And it is an example of Indian diversity. 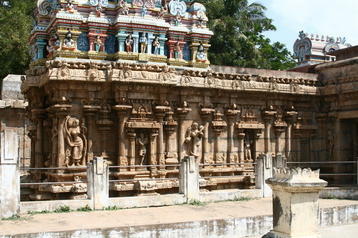 Some examples in these photos. 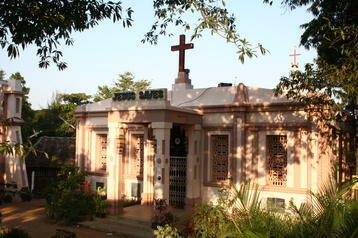 Jesus saves in Trichy too. 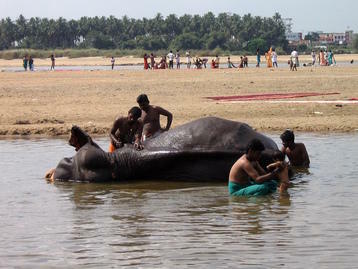 That bubbling soup is hot. 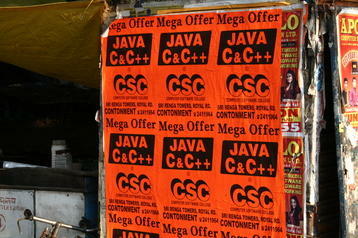 One sees ads for programming classes all over India. 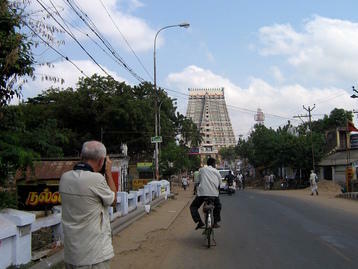 In fact, the number of Christian churches in Tamil Nadu is visibly (and statistically) higher than in those parts of Northern India we had visited before. 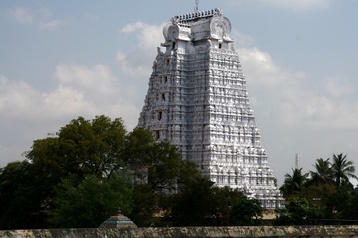 The first day, we set out in the morning from our hotel in the southern part of the city, to cross the Kauveri River to its north shore and visit the enormous Ranganathaswamy Temple in Srirangam. 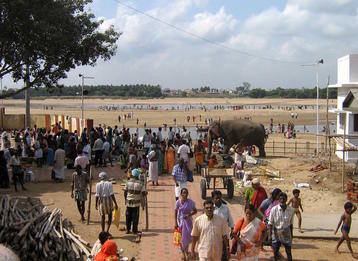 From the bridge, you could see over to the beach where worshippers go for their ablutions (and to wash elephants...) before walking the kilometer or so north to the temple. 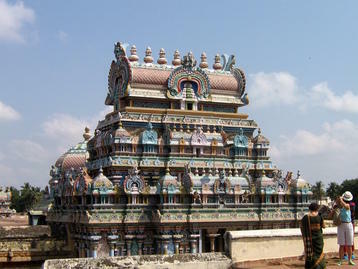 The Ranganathaswamy Temple at Srirangam is a rare thing in India, a temple to Vishnu instead of Shiva. 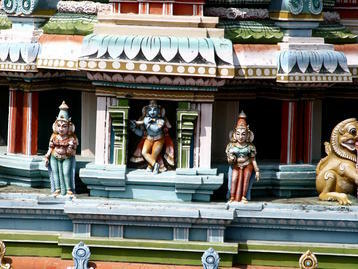 So you see statues and things related to Vishnu's avatars (incarnations), especially that of Krishna (yes, the one of Hari Krishna fame). 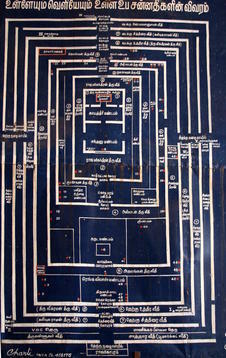 The temple is huge, possessing seven concentric walls surrounding the inner sanctum. 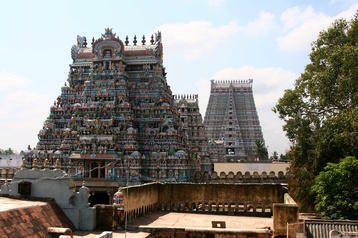 The temple proper starts at the fourth courtyard and the fifth is the last one open to non-Hindus. 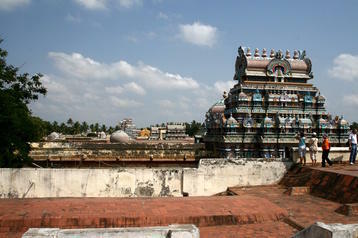 In the fourth courtyard, one can climb to the roof for a view over the gopurams and roofs of the temple. 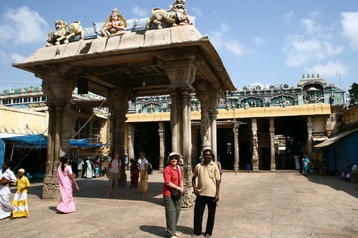 Then we entered the fifth courtyard, the last one open to non-Hindus.